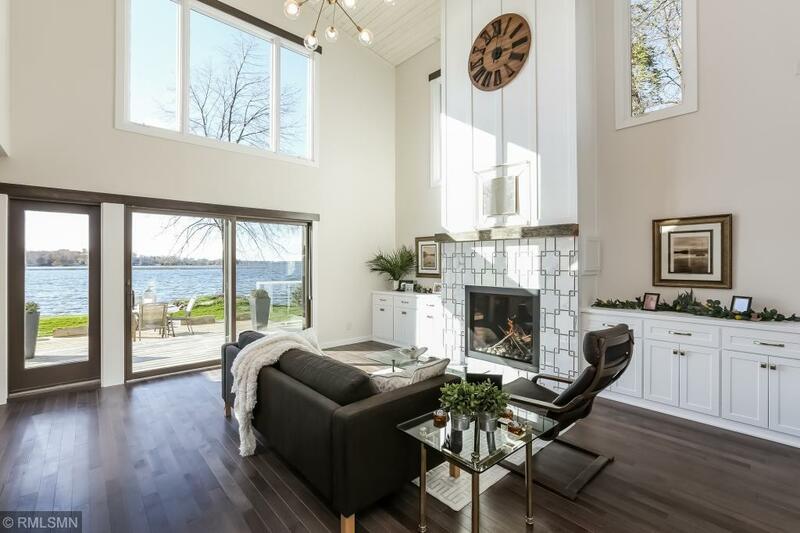 Spectacular total overhaul just completed on this amazing waterfront home. This west facing 2 story is located on a quiet low traffic road and has an unheard of 190 feet of direct panoramic Forest Lake frontage! Jaw dropping complete interior redesign and remodel that will answer your dreams! Large main floor lakeside master en suite with granite/marble custom walk in shower and soaking tub. 2 story open concept living room flaunting lake views at every turn. Gorgeous custom kitchen with bar!